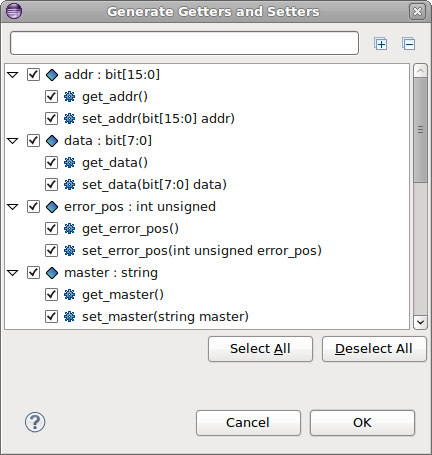 To open the Generate Getters and Setters dialog start typing the name of a field inside a class, press Ctrl+Space and select Generate Getters and Setters or right-click inside a class and select Source > Generate Getters and Setters. 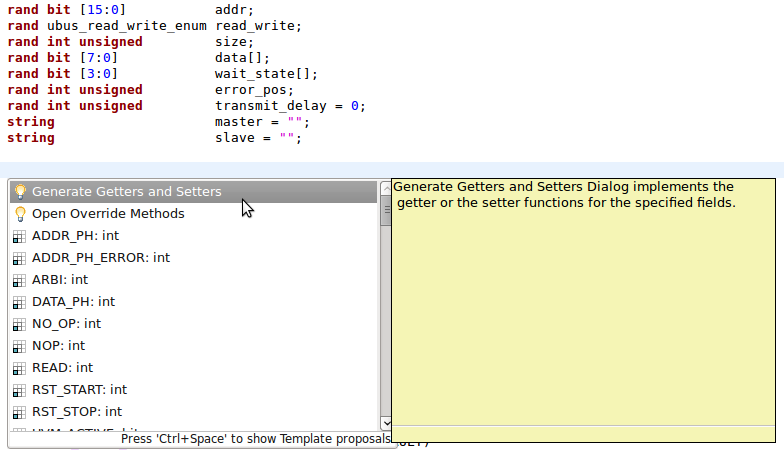 A dialog with all the getters and setters that can be created for the current class will appear. You can type the first letters of the field's name to filter out the list. 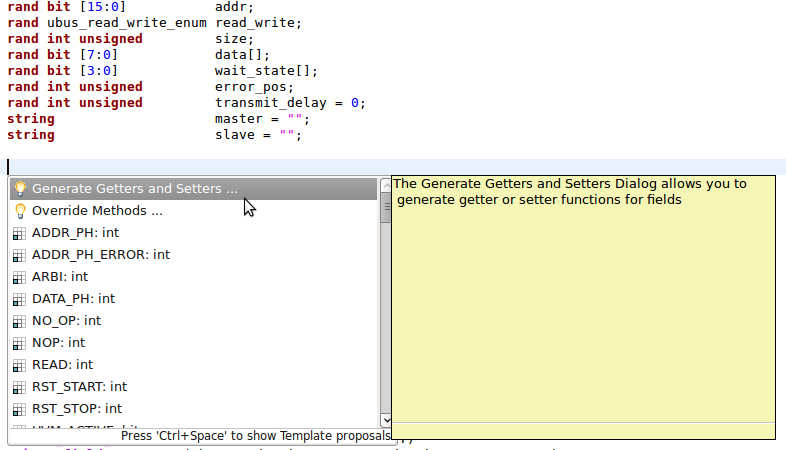 Select the functions that you want to implement and press OK.